Qualcomm admits its Snapdragon chip will be slower than an Intel CPU, but how slow? We tried to find out. 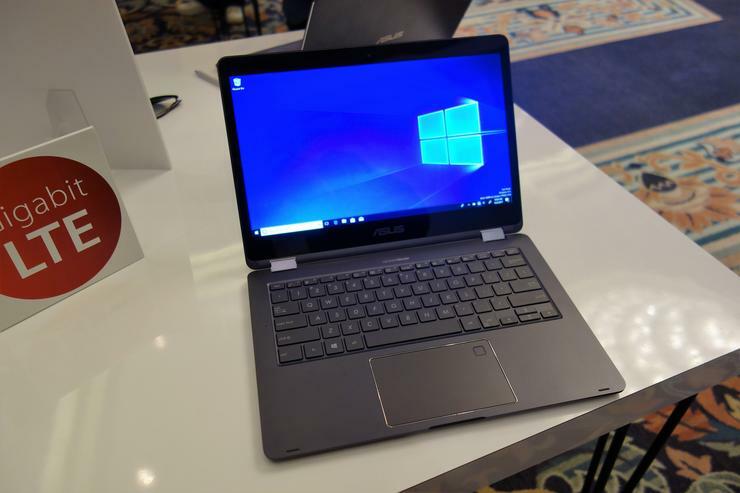 The Asus NovaGo is a Windows laptop with something completely new: the Snapdragon 835 Mobile PC Platform, Qualcomm’s bid to use its smartphone chip to grab some Windows PC share in a category long dominated by Intel. Spending a little time with the machine on Tuesday was an exercise in testing—and managing—expectations. Qualcomm executives have admitted that the Snapdragon platform will be a bit slower to launch apps, a bit slower to boot, a bit slower here and there. Our early impressions show the kind of performance that Qualcomm hopes will be "good-enough" for mainstream users with modest demands. 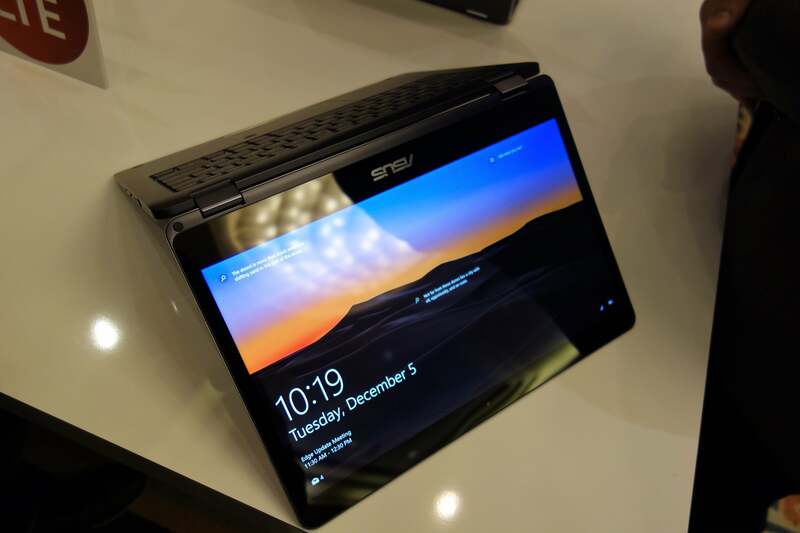 On the outside, the Asus NovaGo looks like any other ultrabook. It measures 12.4 x 8.7 x 0.59 inches and weighs just over 3 pounds. The NovaGo feels sturdy in the hand, perhaps a bit heavier than some other ultrabooks we’ve tried. 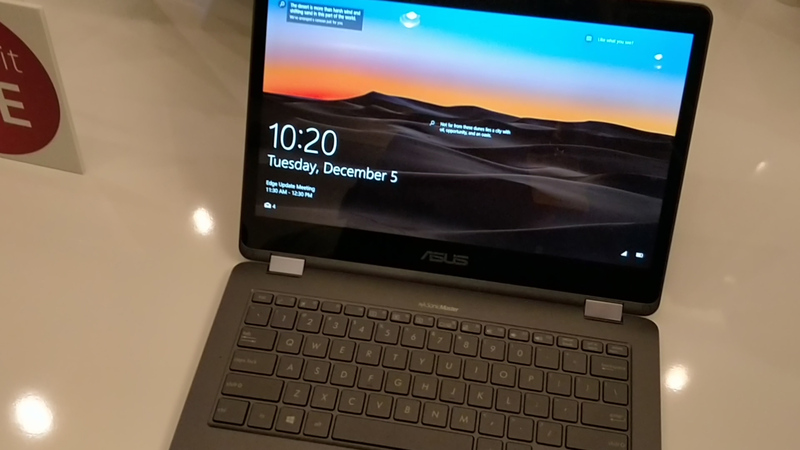 The 13-inch screen has a midrange, 1920x1080 resolution that’s conducive to Qualcomm’s promise of long battery life from Snapdragon-based PCs. Memory amounted to 6GB. The Asus NovaGo is a convertible tablet, meaning it can flip over into presentation mode. Some external features hint that this isn’t just an ordinary PC, however. For one thing, the demo units weren’t plugged in. Qualcomm and the device makers believe the Snapdragon PC platform can deliver 22 hours or so of active use on battery, or about two days when standby time is mixed in. The idea is that you’ll leave your charger at home, and those chargers—standard barrel types, not USB-C—never made an appearance at our event. 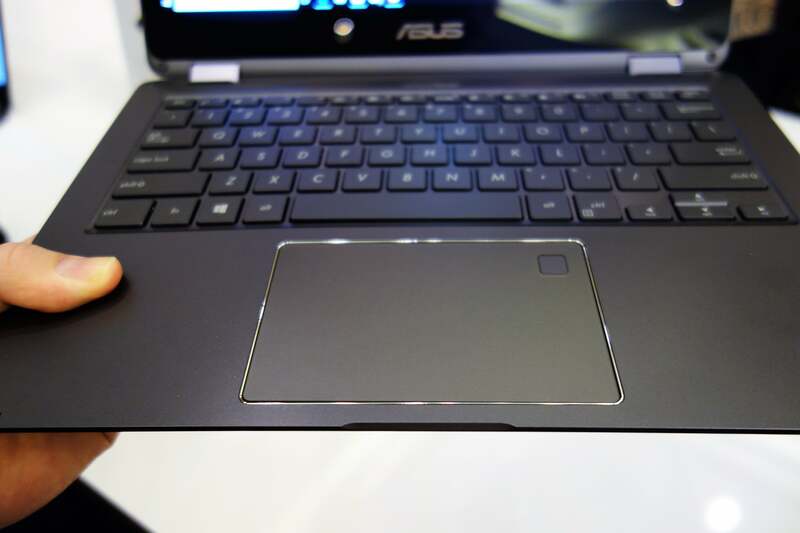 A fingerprint reader hides within the Asus NovaGo’s touchpad. Speaking of USB-C, it’s nowhere to be seen on the NovaGo. 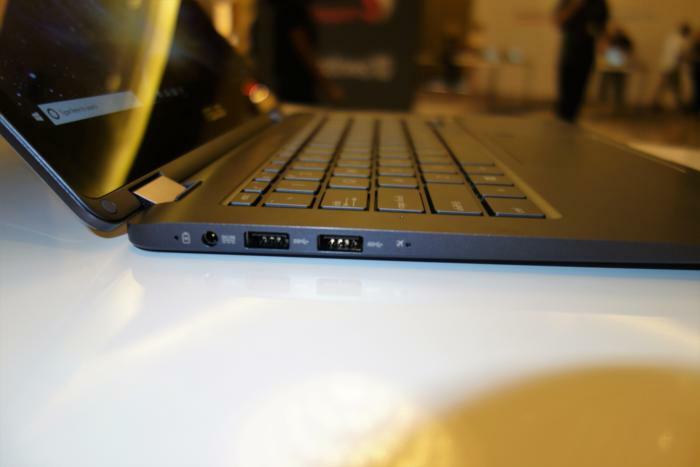 There’s a pair of USB-A ports on the left-hand side. On the right, there’s the power button, headphone jack, an HDMI port, and the other hint that this is something special: a SIM slot. SIM slots are more commonly found on business-class devices. Its presence on the NovaGo suggests this feature will be trickling down to consumer devices. 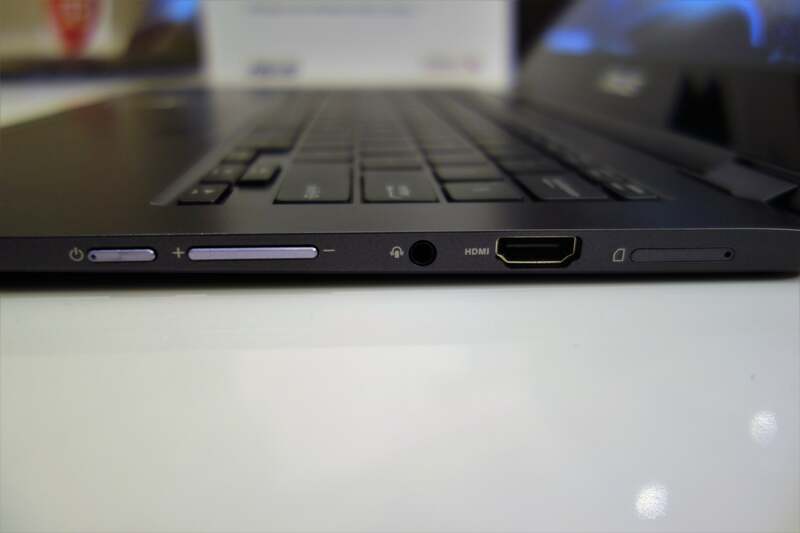 Asus chose not to go with USB-C, choosing USB-A instead. Interestingly, the NovaGo and the other Snapdragon-based device we saw, the HP Envy x2, both run the Insider (beta) version of Windows 10. We’re told this makes them quickly patchable. As it happens, the existing Windows 10 Fall Creators Update supports the new Snapdragon processors. With a Snapdragon smartphone chip controlling a full-fledged PC, it’s natural to wonder about performance. In our experience, some of the basic tasks you’d ask a PC to worked great, while others didn’t. Web browsing flew, at least on Edge. When we tried the PowerPoint desktop app, the NovaGo slowed down and then actually crashed. It took more than a minute to restart, but the six slides in a short presentation loaded over a quick few seconds. Windows took just a few seconds to resume after the notebook was closed. A cold boot, though, took an even 30 seconds to reach the login screen. That’s not horrendous—we’ve all sat through boot cycles that lasted long enough to fetch a cup of coffee—and, as Qualcomm execs pointed out, an always-on PC doesn’t need to reboot often. Other software tests continued to vary. I tried upgrading one of the NovaGos at the Qualcomm demo table to Windows 10 Pro, which worked fine. I installed Google Chrome, and tried loading the same site on both Chrome and Edge. PCWorld.com loaded markedly faster on Edge. I tried again on CNET.com, timing the load times. Edge required 8.5 seconds before I could interact (scroll) with the page; Chrome required 14.7 seconds. I tried loading two common benchmarks, Maxon’s Cinebench and Geekbench 4.0. Cinebench failed to install for some reason. Geekbench reported a single-core of 857, and a multi-core score of 3117. Microsoft executives said that once a binary is interpreted and cached, it’s stored to help improve future performance. Unfortunately, I was stopped from repeating the benchmarks and could not confirm that. A SIM card slot hides on right hand side of the Asus NovaGo. The real benefits of the Asus NovaGo and its Snapdragon platform remain to be seen. Delays in loading an app are far different from delays in actually using it. While I solidly endorse the fundamental principles behind Qualcomm’s strategy—more battery life, please!—we’ll need to reserve further judgment until we can test a system completely.